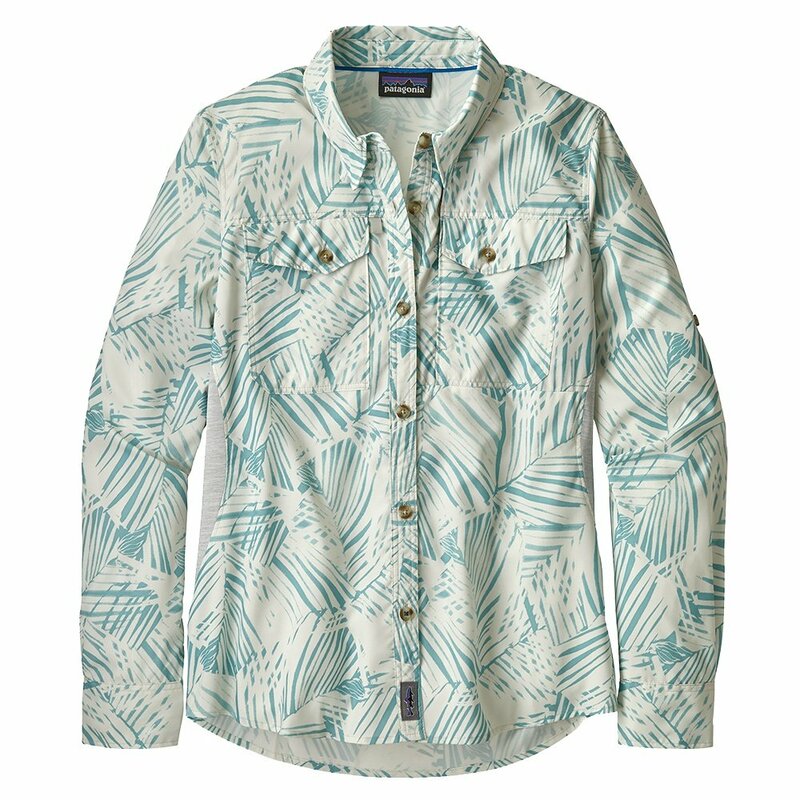 The Patagonia Long Sleeve Sol Patrol Shirt will perform wherever your warm weather adventure takes you. This lightweight fishing and travel shirt offers UPF 50+ sun protection and is made to handle hot days out on the water. With a unique combination of woven and knit fabrics, it wicks moisture and dries quickly keeping you comfortable. It has a relaxed blouse like fit with roll-up sleeves so you can head straight out to dinner when you get back to the dock.